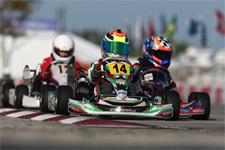 Rising star Anthony Gangi Jr. continued his dominance in the Vortex TaG Cadet class this past weekend at the second round of the Formula Kart Productions Florida Winter Tour (FWT). 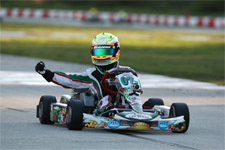 Taking to the Homestead Karting Complex, located on the grounds of the Homestead-Miami Speedway, the GT7/Tony Kart pilot now has all four TaG Cadet feature wins to his credit in the 2013 FWT, and just narrowly missed the complete weekend sweep of the action. On track Saturday for the first race day of the weekend, Gangi Jr. continued where he left off after his brilliant performance in the Palm Beach round. Taking the coveted pole position by more than five tenths in the field of 31 TaG Cadet competitors, Gangi Jr. was off to yet another outstanding event. The first of two heats would see the Brookville, New York resident be nipped at the line for the win. Settling for second by only 0.237 seconds, Gangi Jr. would then be untouchable for the rest of the weekend. Scoring a dominant three-second win in the second heat along with fast lap honors, Gangi Jr. then went on to score the final victory after a racy 16-lap battle. Sunday would see the 11-year-old complete the day's sweep. Starting with the pole position for his fast lap of 47.861, Gangi Jr. then went on to score both heat race wins and take the feature victory along with fast laps in all three races. Gangi's continued dominance and four final wins to date in TaG Cadet action have him leading the overall championship by 376 points before drops. 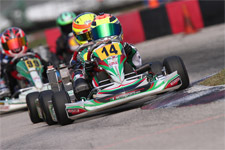 Heading into the final round at the Ocala Gran Prix in March, Gangi looks hard to beat as he vies for two more final wins and the overall TaG Cadet title. 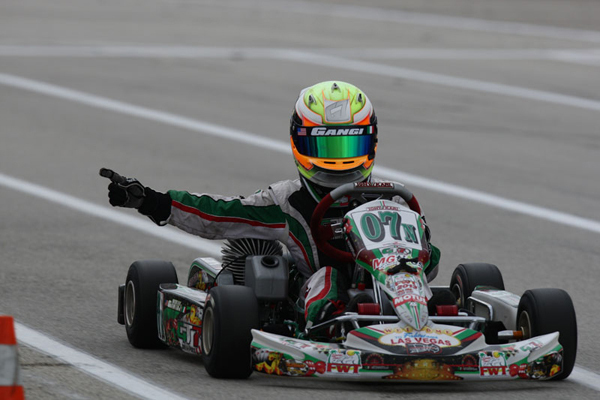 Before Gangi Jr. takes on Ocala, he will be back on track this coming weekend in Homestead for the second round of the Florida Winter Tour Rotax events. 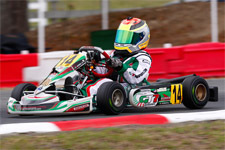 The young gun already has a win under his belt in his Rotax powered Tony Kart from the Palm Beach round, and will certainly be a threat again against the stiff international Mini Max field. Gangi Jr. will be on track during the week leading up to Friday's official qualifying sessions followed by two full days of racing action on Saturday and Sunday. Live video, timing and scoring, as well as audience interaction is available for each Florida Winter Tour weekend via the FWT Live! Broadcast page: http://floridawintertour.com/fwtlive/2013. Anthony would like to thank his long time tuner and driving coach Chris Perez, and Daniel Lambert (Disco Dan) for the always great power, and for all their long hours and hard work! Additionally, Gangi Jr. would like to thank Sargeant Motorsports for their continued support along with sponsors Millwork Solutions, Holeshot Drive Systems and PKT Axles. 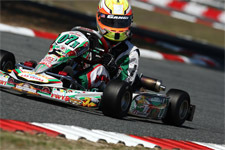 The GT7 Motorsports Team is proud to be a Tony Kart dealer, Vortex and a Rotax Max Service Center for the US North East. 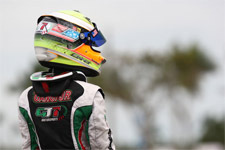 For more information on Anthony Gangi Jr. please check out his website at www.GangiJr.com. For more information GT7 Motorsports please visit their website www.GT7motorsports.com or contact Anthony Gangi Sr. at 516-635-8594 or email at agangi@mac.com. © GT7 Motorsports 2019 | All Rights Reserved.